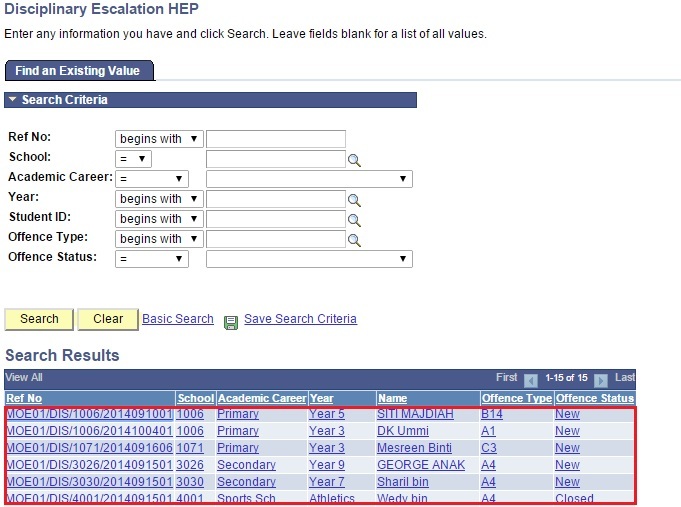 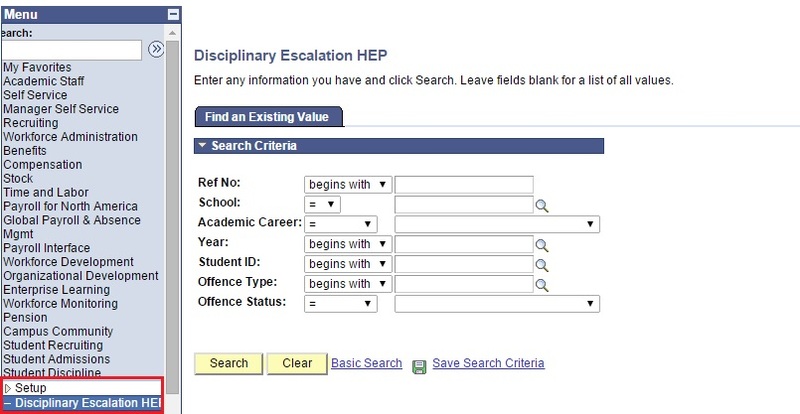 This function allows the users to update disciplinary cases that has been escalated by school. 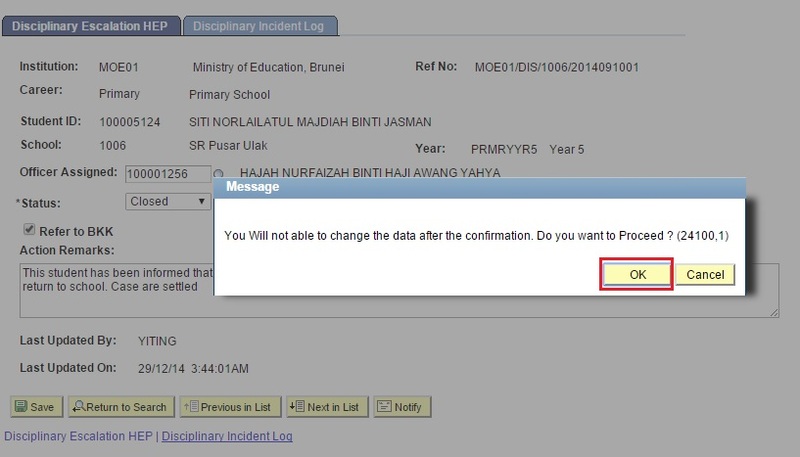 This checkbox does not have function, it act as an indicator that this escalated cases requires BKK counselling. 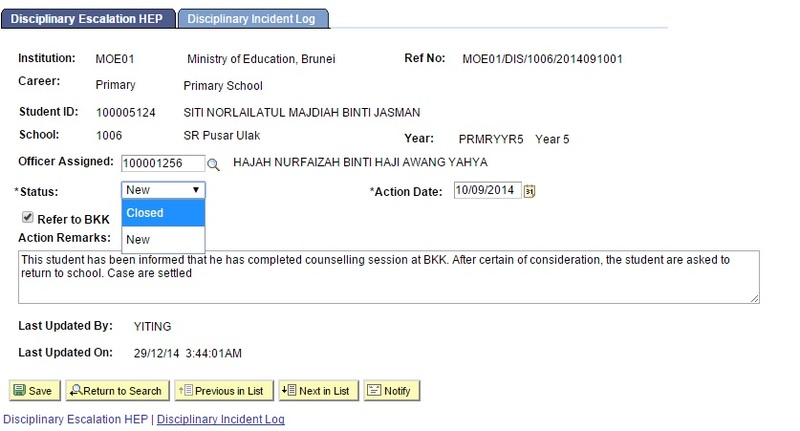 Via Offline, HEP officer will contact BKK that this cases required counselling from BKK. 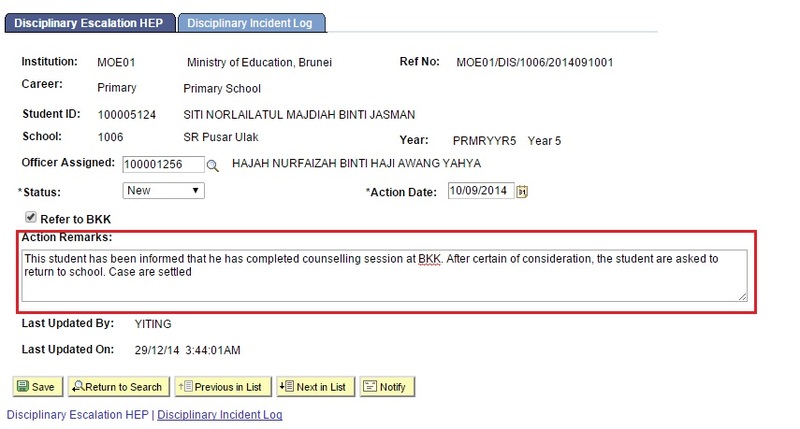 When counselling session are done at BKK, they will inform back HEP that the student has completed counselling session. 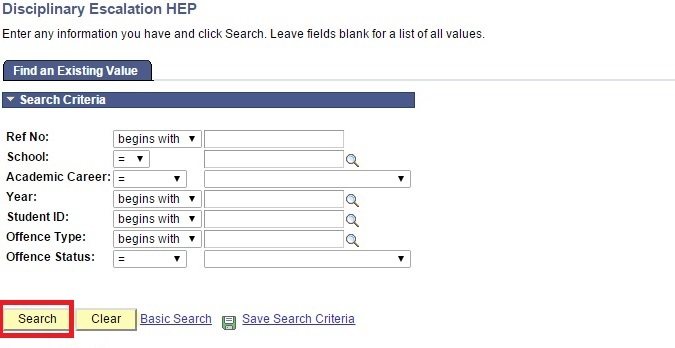 HEP officer will login here to fill in action remarks and close this case. 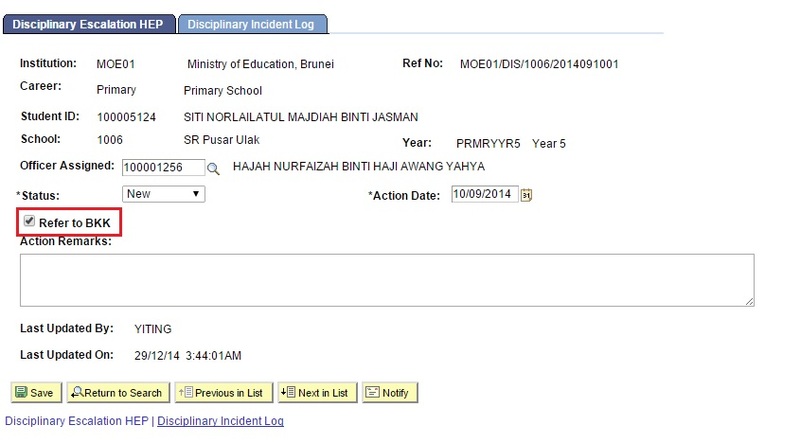 If Status are changed to ‘Closed’ , it will be changed automatically at Disciplinary Incident Log page. 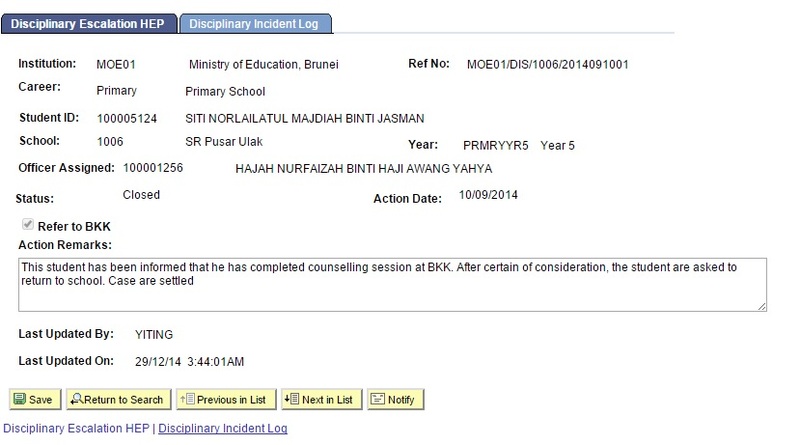 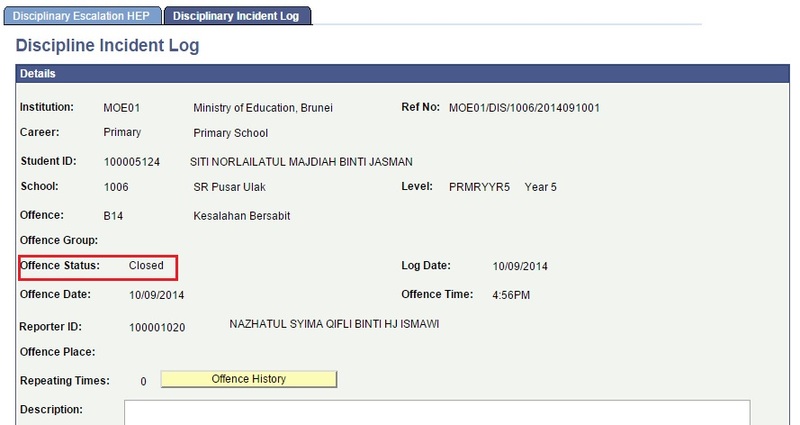 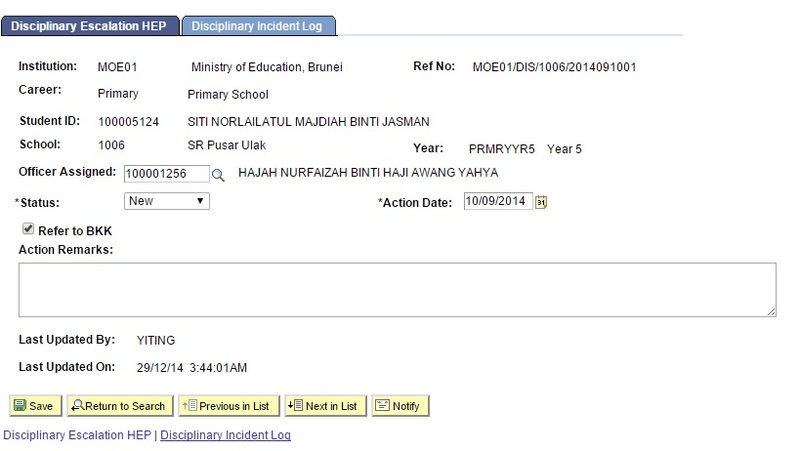 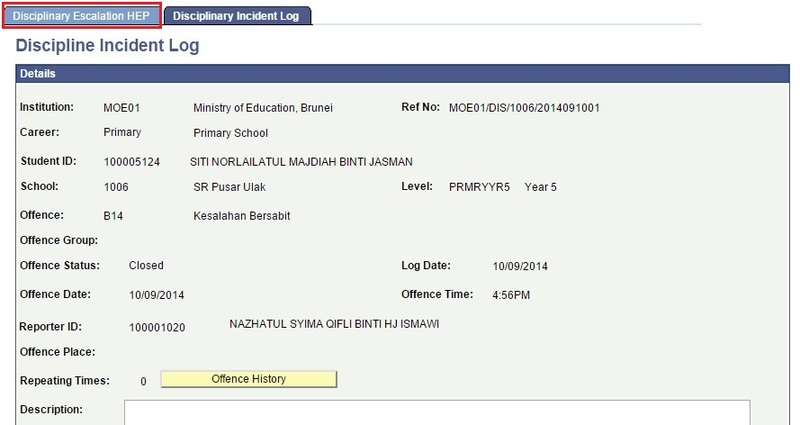 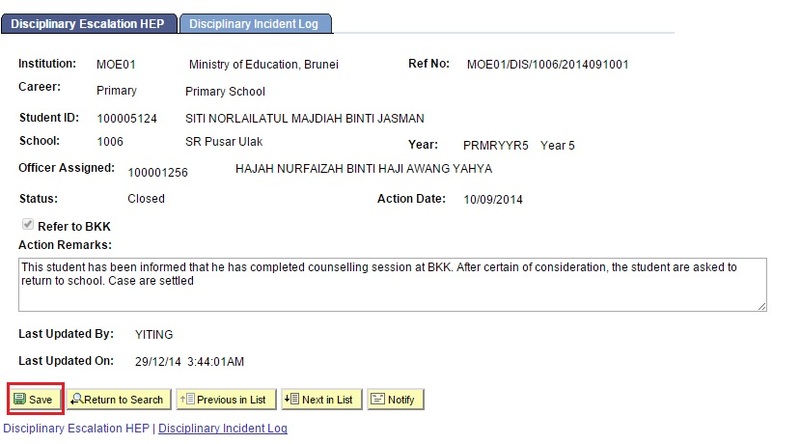 When School User login and search for this student case, the offence status will be ‘Closed’. 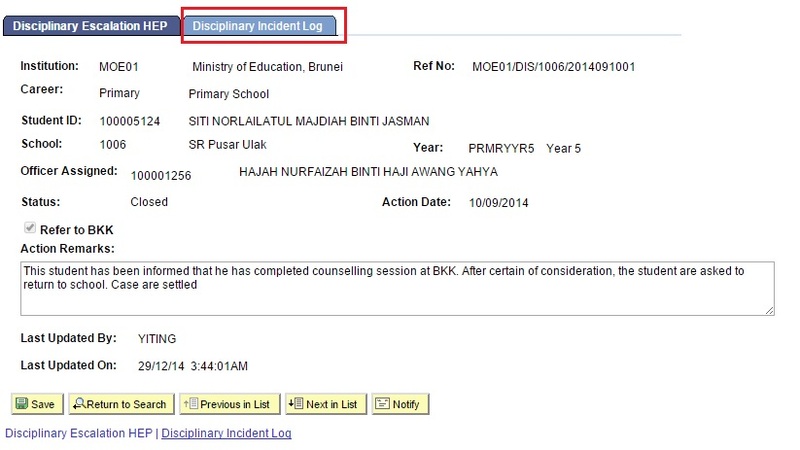 By this way, they would know that the cases has been close by MOE - HEP Officer.